Good afternoon. Below is the captain's log from the recent Jupiter test of the prototype Emdrive MK I. As a reminder, all information concerning the Emdrive remains classified. Please return your Aug glasses to the front counter when you have finished this briefing. Jupiter is the first planet we’re sending Star Control’s prototype ship to visit. Powered by the Darius Robotics Emdrive MK I, the prototype can get from Star Control command to Jupiter in a matter of days, rather than months. It is ironic that the prototype is powered by a drive made by Darius Robotics, given that Darius Erdmann is now gone, lost to the Lexites. 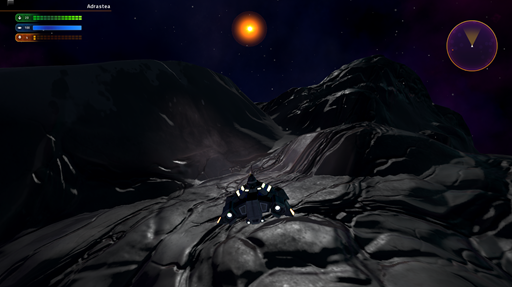 The prototype closes in on Jupiter, March 2086. 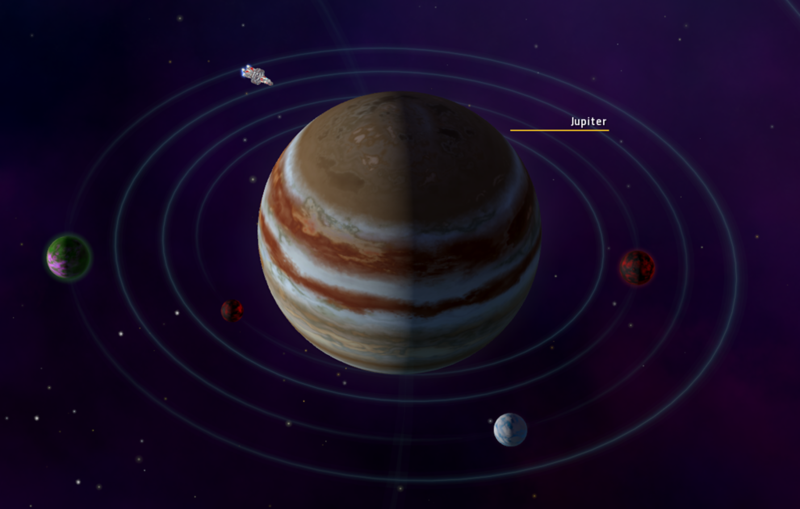 Some people have speculated that Jupiter was meant to be Sol’s twin in a binary star system. In reality, Jupiter is not even close to having enough mass to be a star. You would need at least 80 Jupiters to have a chance. Jupiter was chosen as our first test because of the various types of moons that will allow for a good measure of the lander’s capabilities. The first moon we are visiting is Adrastea. It’s very small. It’s a Plutonic class world and was only discovered in 1979 by Voyager 2. Why this tiny world? For one thing, Plutonic class worlds are worlds that have not cleared out their orbit yet. That means that things tend to bang into them, which frequently results in some valuable minerals to be readily accessible. Secondly, it’s a very safe world. Francium and Actinium are right on the surface. Actinium is a very strange chemical element. It’s radioactive and reacts quickly with oxygen. Its presence means that there is no oxygen on the surface. Resources like Actinium are so rare on Earth that we don’t really use them. But any radioactive source can be extremely valuable for space exploration when found. Now to find a landing zone and set down one of the three landers we keep aboard. We pick up our valuable cargo and return to the orbit of Jupiter. Io is the most volcanically active body in our solar system. Io will be the first real test of the new lander. Can it withstand the dangers of a world spitting out lava and other unpleasant things? Volcanic worlds such as this are very dangerous, but also are likely to have exotic chemicals near the surface. 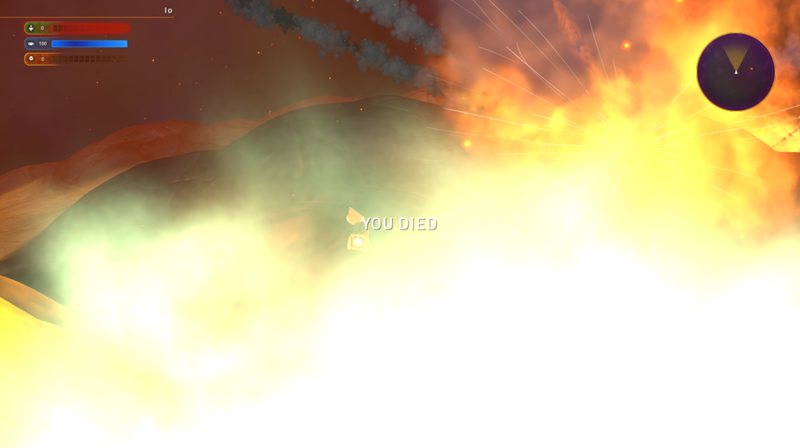 The answer comes quickly: the destruction of our lander! 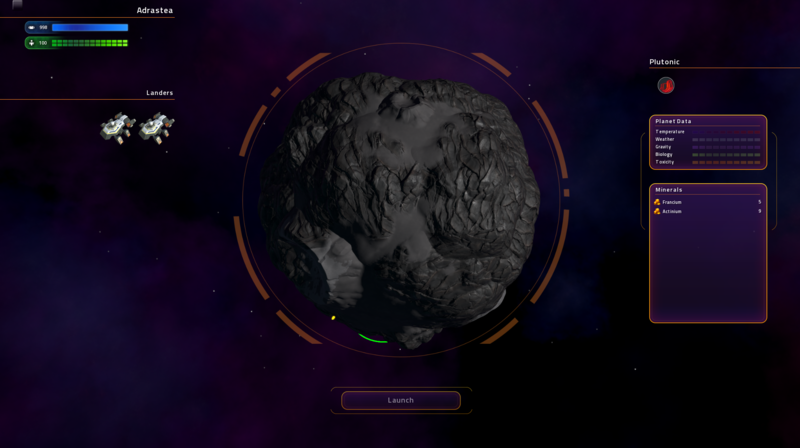 Luckily, it was not a manned lander, but one controlled by an AI. Perhaps a human could have made it, but our first test indicates these worlds are probably too dangerous to visit. It took just over four days to return back to Earth. 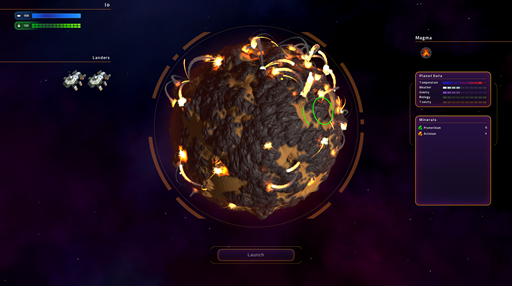 The loss of the lander was not completely unexpected and the data provided will allow the Star Control science team to develop new ways to make the landers deal with hostile environments. Star Control: Origins is currently in internal beta. The Fleet Battles beta is currently in beta on Steam with game anticipated to be completed later this year. Visit www.starcontrol.com to learn more. I just can't trust a drive system made by a robotics company. I'm going to have to order ship security to keep a constant watch on that thing to make sure it doesn't take over the ship so that it can go meet its builder. Oh, and this runs, looking like this, on my Surface Pro 4. It looks so good I actually want to go get blown up on Io. This looks really good! I can't wait to be able to visit planets and launch landers down to the surface. 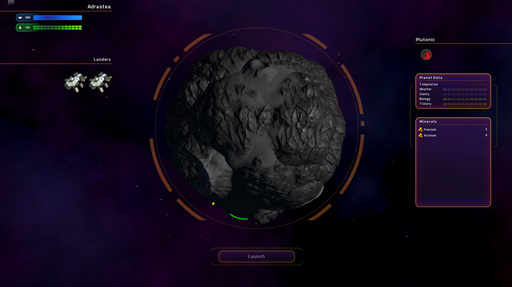 I would've wanted a much more realistic planet overview though, like in SC2. Your only knowledge whether or not the surface is nice is indicators like technotics / hotspots. I liked that if you miss those indicators and launch your landers, you're going to have the surprise of your life when your lander is met with an incredibly hostile environment on the surface and you scramble to take off back to your ship.